During his fundraisers in California, President Obama explained that it was more important than ever to win a Democratic majority in the House of Representatives in the upcoming elections.Obama singled out House Minority Leader Nancy Pelosi D-Calif. as the reason he flew out to California for a fundraiser. “She has been an extraordinary friend of mine, but more importantly, she’s a friend to working families all across the country each and every day,” Obama said about Pelosi. “I could not be prouder of her, and I expect that she is going to be once again the Speaker of the House — Nancy Pelosi. 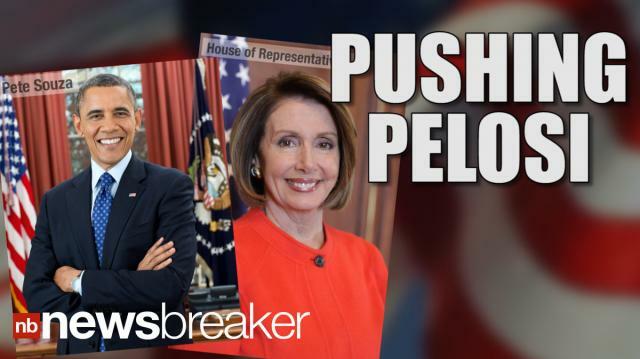 Love Nancy.” Host @DavidBegnaud delivers breaking news and today's trending buzz in 45 seconds.